Yet Another Icon Gone but Never Forgotten! I have never done two posts in one day however today warranted my doing so. 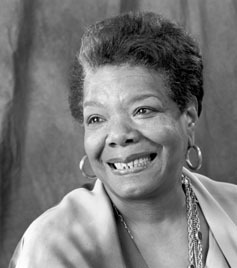 Maya Angelou will always be remembered for her poetry, magnificent writing abilities and so much more! Everyone has their way of making an impact in the world…writing was hers. She not only wrote but acted, directed movies, produced plays and public television programs. What I cherish her for the most is her role in the Civil Rights Movement. This is an ancestor that should never be forgotten! May your beautiful soul rest in peace. Below is a piece written by Ms. Angelou as a tribute to Haiti! Homo sum. Humani nil a me alienum puto! Nothing human can be alien to me! The most popular playwright in Rome. Come down to us from 154 B.C. He said, “I am a human being. I have ingested and digested that statement.